A federal judge’s ruling that stopped construction of a West Virginia wind farm to protect an endangered bat underscores the growing conflicts between green energy and imperiled wildlife. But the case, thought to be the first of its kind involving a wind energy project, seems unlikely to derail other projects, as some wind energy advocates have feared, unless the operators ignore endangered species laws. In the West Virginia dispute, a subsidiary of wind developer Invenergy called Beech Ridge Energy applied to build a 122-turbine project along an Appalachian ridgeline in Greenbrier County. 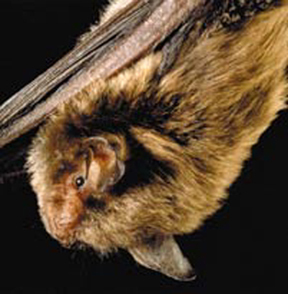 The county is home to the Indiana bat, which the federal government listed as endangered in 1967. That’s because under the Endangered Species Act, developers can apply for an “incidental take permit” that allows the inadvertent killing of protected wildlife if other measures are taken to protect the animals. Invenergy told federal wildlife officials that surveys had not detected the Indiana bat at the West Virginia wind farm site. Although officials at the Fish and Wildlife Service had urged the company’s consultants to conduct more extensive surveys, a West Virginia state agency approved the project and construction of the wind turbines began. The Animal Welfare Institute, a Washington-based nonprofit group, sued to stop construction. An initial assessment of the project had estimated that it would annually kill 6,746 bats of all kinds. After listening to expert testimony from both sides, Judge Titus concluded that Invenergy’s consultants avoided undertaking surveys that would have shown the presence of Indiana bats at the project site.